Set in an 18th-century building in the historic 6th district, this elegant hotel offers air-conditioned rooms with a marble bathroom and free Wi-Fi access. Odéon Metro Station is 250 metres away. 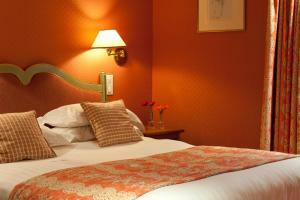 Satellite TV and a minibar are provided in each soundproofed room. 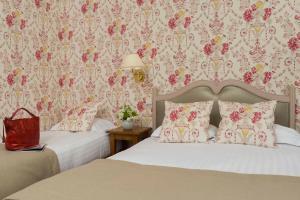 Guest rooms have a romantic décor with pastel colours. 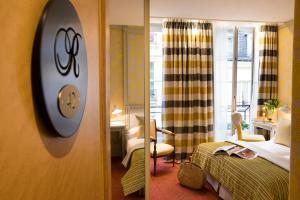 Some rooms feature a balcony or a view of Rue de Buci. Enjoy a continental breakfast every morning in the vaulted cellar at Le Regent. After breakfast, guests can relax in the lounge, which has marble flooring and period furnishings. 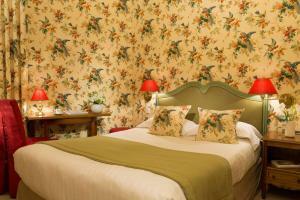 With a 24-hour reception, hotel Le Regent provides a tour desk and a ticket service. Bike rental is possible on site. 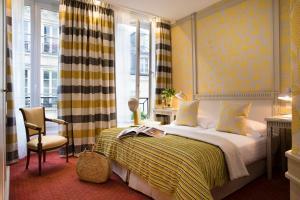 Notre Dame Cathedral is just a 10-minute walk from the hotel and Eugène-Delacroix Museum is 300 metres away. An airport shuttle service is available upon request. 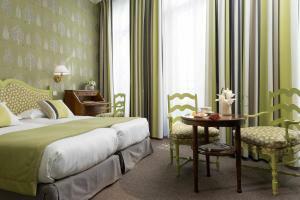 These air-conditioned rooms feature a minibar, flat-screen TV with satellite channels and a safety deposit box. The en suite bathroom includes a bathrobe, hairdryer and free toiletries. 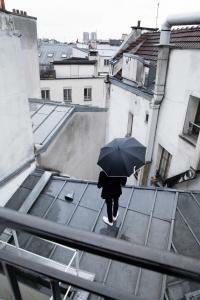 The rooms on the upper floors have a balcony while the others offer views of an indoor courtyard. Cherry wood furniture and antique-style furniture are featured in this spacious rooms. 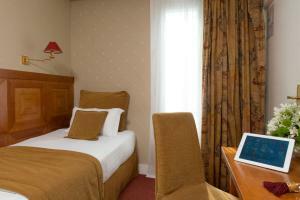 One of them is located on the ground floors and is suitable for guests with reduced mobility. 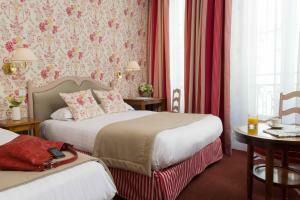 With views of Rue de Buci, this room features cherry wood furniture and antique-style furniture. An extra bed is possible in this room. With views of Notre-Dame Cathedral and the Parisian rooftops, this air-conditioned room features a minibar, flat-screen TV with satellite channels and a safety deposit box. 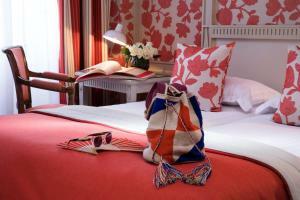 The en suite bathroom includes a bathrobe, hairdryer and free toiletries. 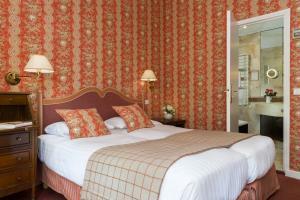 Rate: € 125.10 ... € 223.00; select dates below to get current rates.